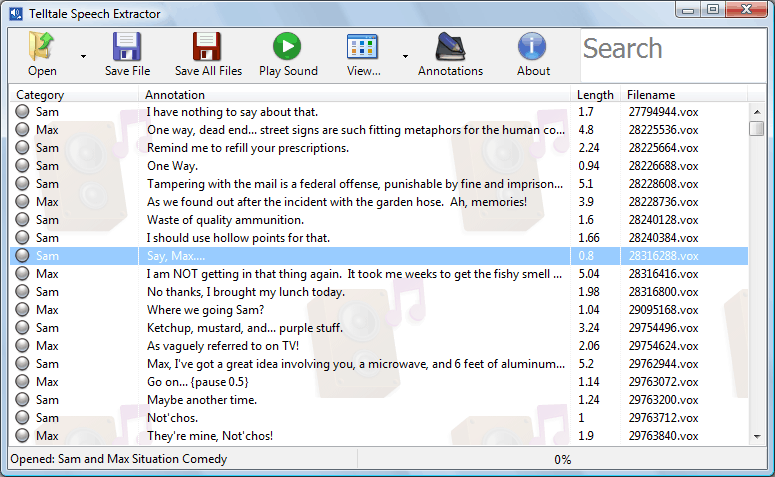 I’ve just uploaded a new version of Telltale Speech Extractor. It now supports Tales from the Borderlands Episodes 2-5, Game of Thrones Episodes 2-5 and Minecraft Story Mode Episodes 1 and 2. There’s a few extra voice files for Minecraft, see the readme for more information on that. I’ve also updated Telltale Music Extractor again to fix music dumping from .bank files – that’s the music used in Game of Thrones and Minecraft Story Mode. Its now much quicker and produces better quality audio. I should also mention that it still requires a lot of space when dumping (at least 4GB) because it produces uncompressed wav files for some games. Many thanks to David Johnson and MrPowerGamerBR for their help in testing the previous wonky version and making me realise that I had to find a better solution. Telltale Music Extractor updated. Now dumps all music again. MCSM WOORRKKSS! THANK YOU SO MUUCH!! !